Custom Photography is an investment in preserving your family’s history. We capture the moments, memories and emotions that become the chapters in your family story. 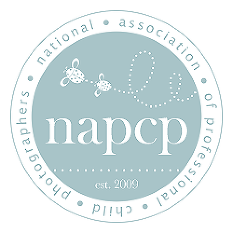 Each image we create is the result of countless hours of education, patience, practice, and dedication to perfecting the art of maternity and newborn photography. Finally, there are also costs involved in running a legitimate business; continuing education, professional memberships, equipment, props, taxes, insurance, marketing etc. 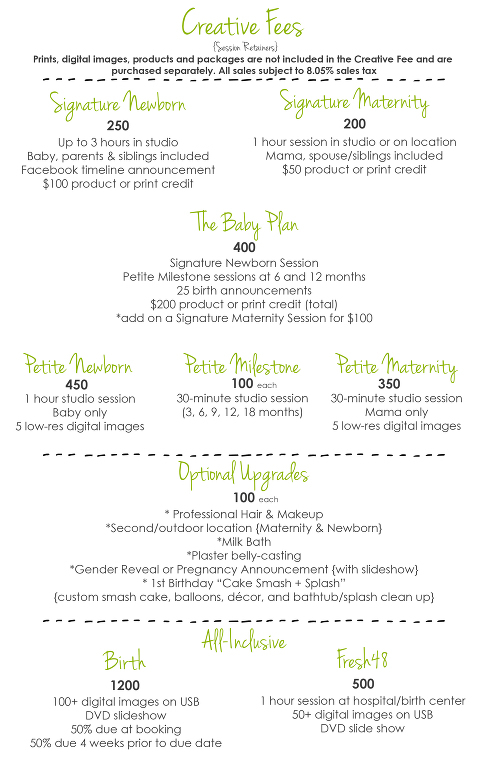 Each session fee is carefully calculated, taking all of these aspects of custom photography into consideration. 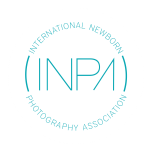 We understand that newer photographers may have less expensive options. We do not compete with new photographers. We stand behind our experience, products and pricing and thank you for your understanding. The Creative Fee is required at the time of booking and signing of contract. The Creative Fee serves as a session retainer and is separate from packages, and does not apply toward any packages. They cover session time and talent, use of wardrobe and props, signature post processing, and a soft proofed gallery of at least 40 images. The creative fee is a retainer that is non-refundable, but is transferrable to a future session. Prints, digital images, products and packages are not included in the Creative Fee and are purchased separately. Complete portrait collection, digital, print & product pricing menu available upon request. Most clients invest between $900-1800.